Posted on January 3, 2019 January 3, 2019 by Rob Adams, Psy.D. We have lots of relationships, mostly with people. But we also have relationships with things, habits, thoughts, and emotions. Like all relationships, they can have varying levels of health. I like to believe I have a healthier relationship with my self-esteem than I did in high school. I am better at not basing my self-esteem on the ups and downs of a given day or the opinions of people who don’t know me best. Recently, I have talked to multiple kids and adolescents about their relationship to electronics, mostly because it’s an unhealthy relationship. It’s a relationship where the device or game has power over their mood, behavior, and relationships with family and friends. Sound familiar? They fear that I will tell them they have to end their relationship with electronics, but instead we discuss the need for a healthier relationship with different boundaries and less negative influence. 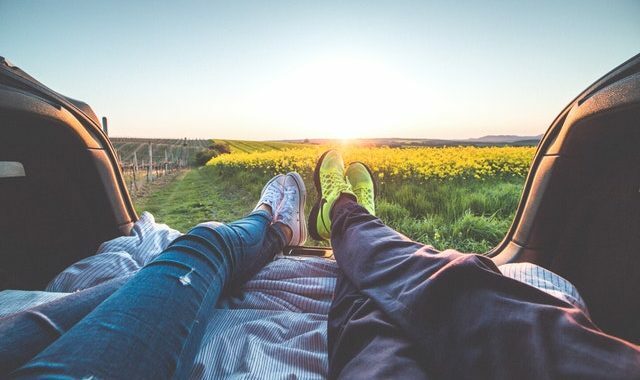 We’ve all probably heard the phrase, “let’s just be friends,” as a way to set limits on what a relationship can and cannot be. So here are some things that I think it’s time to break up with in 2019…it’s time to just be friends. We all have certain defaults. Based on our biology and past experiences, we react certain ways in certain situations. My wife calls one of my defaults “Travel day mode.” She knows that my mood and focus are different on days we are traveling. Early in our marriage we were flying with my parents, and as my wife watched my Dad and I navigate the airport in “travel mode,” she noted to my Mom that she could see the similarities. While I contest that travel mode is one of my helpful defaults, I also know that it can be rigid and demanding of those I am traveling with, including a 5 and 2 year old with much shorter legs and attention spans than mine. We might have default modes when we have to deal with a sad child, angry outbursts, or resistance to homework and chores. We may try to be calm and use a different tone, but we eventually go back to the angry demands or we avoid the issue altogether. While this mode may work to get a task done or make us feel better in the moment, we can also recognize that is leads to disconnection from our child or it doesn’t mean they have learned how to self-initiate the task the next time. And so, I think it’s time to break up with default modes that do more harm then good. Instead of being defensive or rationalizing that we “can’t help it,” let’s use our values to help us be willing to try a different approach and be humble about the things that are not working. We all go through times of having an unhealthy relationship with our phones, so I’ll keep this short and sweet. Let’s model what we want from others, especially our children. Checking my phone at dinner, or bedtime, or when watching my kids’ play communicates a different set of priorities than I believe I have, and kids notice. And they call you out. I want my phone to be a useful tool that I use when I need to, so let’s put it aside when we know it’s got more control of us than we have of it. Take a few minutes to notice a couple things that you have an unhealthy relationship with, choose to just be friends and start working towards values instead. Posted in Adults, Articles, Uncategorized. Please contact us to discuss your questions and concerns about your child’s emotions, development, or behavior. We can help you decide if a consultation would be beneficial. Use our online client portal to book your next appointment. Need to cancel? Please see our cancellation policy. Please join our mailing list to receive office updates and free information. Your privacy is important to us and your information will only be used for official office contact.